Sign up with your email address to receive updates on new and forthcoming releases, sales, and giveaways. 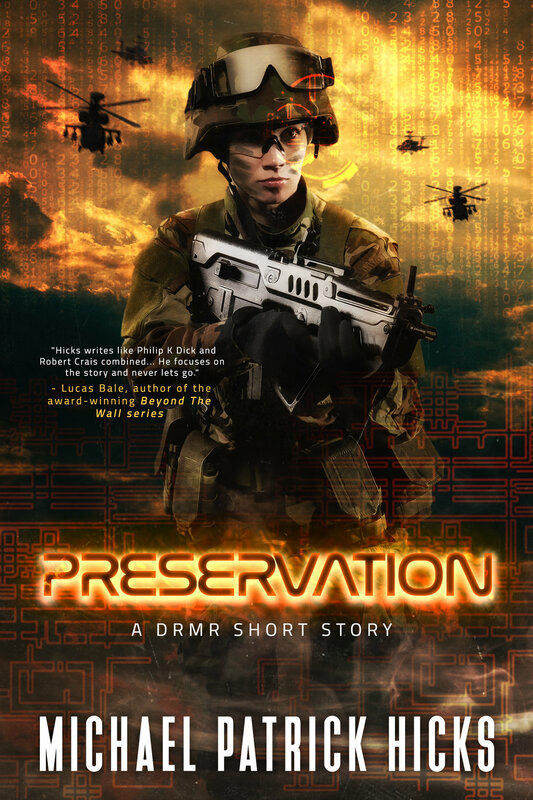 You'll also receive complimentary copies of my short zombie story, Let Go, and Preservation, a stand-alone short story set in the sci-fi world of my DRMR series. I respect your privacy, and promise that this newsletter will always be spam-free. You may unsubscribe at any time. Michael Patrick Hicks is the author of Broken Shells: A Subterranean Horror Novella, Mass Hysteria, an Audiobook Listeners Choice Awards Horror Finalist, and Convergence, an Amazon Breakthrough Novel Award Finalist. He is a member of the Horror Writers Association and the Great Lakes Association of Horror Writers. In addition to his own works of original fiction, he has written for the online publications Audiobook Reviewer and Graphic Novel Reporter, and has previously worked as a freelance journalist and news photographer in Metro Detroit. Michael lives in Michigan with his wife and two children. In between compulsively buying books and adding titles that he does not have time for to his Netflix queue, he is hard at work on his next story.